Prenatal vitamins are an important part of pregnancy, supporting the health of both moms and babies. While the “dos” and “don’ts” of health and nutrition during pregnancy are familiar, it is also important to focus on these before becoming pregnant. For example, taking the recommended multivitamins before pregnancy can help prevent certain birth defects. Taking a multivitamin or prenatal vitamin containing 400 micrograms (mcg) of folic acid every day before pregnancy can prevent serious birth defects of the brain and spine. Some studies show that folic acid also may help prevent heart defects and defects to a baby’s mouth, called cleft lip or palate. 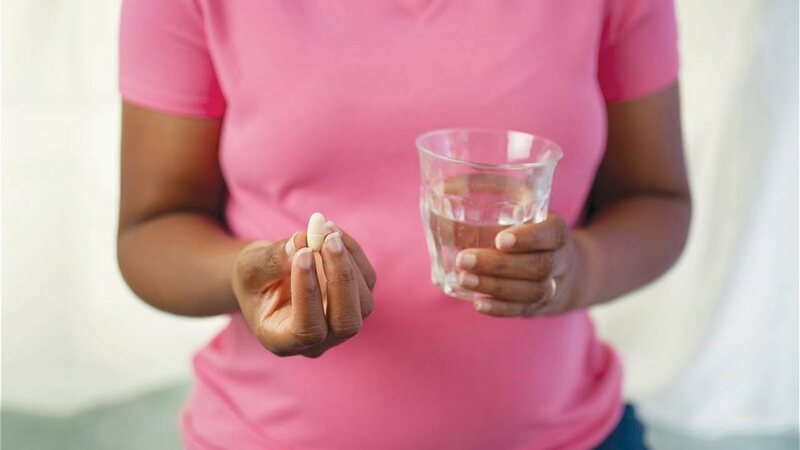 Almost half of pregnancies in the U.S. are unplanned, so health experts recommend that women of childbearing age take a daily multivitamin containing folic acid, even if they are not trying to get pregnant. A new survey conducted by the March of Dimes shows that only 34 percent of women ages 18-45 said they started taking a multivitamin or prenatal vitamin before they knew they were pregnant. This number is even lower for Hispanic and African American women – dropping to 27 percent and 10 percent, respectively. The survey, conducted through a partnership of the March of Dimes and Mission Pharmacal, found that further education is needed so that all women are aware of and understand the key factors that contribute to a healthy pregnancy and birth outcomes. The March of Dimes says that up to seven in 10 of the 3,000 serious birth defects of the brain and spine that occur each year in the U.S. each year could be prevented if all women capable of having a baby took daily multivitamins containing adequate folic acid. After pregnancy begins, the folic acid recommendation increases to 600 mcg daily. Iron, calcium, vitamin D, DHA and iodine have also been found to play a key role in growth and development for babies during pregnancy. Prenatal vitamins are multivitamins made just for pregnant women and have more of key nutrients needed during pregnancy. Taking prenatal vitamins every day, along with eating healthy foods, can help provide mom and baby with the nutrients they need before, during and after pregnancy. Prenatal vitamins are available over the counter or can be prescribed by a doctor, and some insurance companies may cover some or all of the cost of prescription versions of prenatal vitamins. Visit marchofdimes.org for the latest health information, resources and tools for moms and babies.